For the answer, as with so many bad ideas, Americans need to look across the pond to Europe. In the 1930s, we sowed the seeds of your ruination by sending you a bunch of Communists from the Frankfurt School to set up shop at Columbia University in New York and poison your culture with political correctness. Now we’re exporting to you another vile and destructive trend: politically weaponised anti-Semitism. Jew-hatred is rife across Europe. But it’s not the fringe “far right” (as it used to be called when the term meant anything) which is promoting it, this time, but what passes for the mainstream left. As exhibit A, I present you the party which could conceivably form Britain’s next government: Jeremy Corbyn’s Labour party. But that’s not the really shocking part. The really shocking part is that time and again, he seems to escape without his political credibility being seriously dented. It has become something of a national joke. Labour’s motto “for the many, not the few” now ought, many believe, to be changed to “for the many, not the Jew”. That’s because the party leader is but the tip of the iceberg. Corbyn isn’t popular with his hard-left party grassroots despite his anti-Semitism. He’s popular, at least in part, because of it. Never in its history has Labour’s membership been more flagrantly anti-Semitic. Labour used to pride itself as the party that “stood up to Fascism” when it marched alongside Jews in the 1930s against fascists in Cable Street, in the Jewish East End of London. Its then leader, future Prime Minister Clement Attlee, vowed that Labour would “never falter” in its “active and sympathetic co-operation” with the Zionists. In today’s Labour party “zio” (short for “Zionist”) is a standard term of abuse for Jews (masquerading as a principled objection to “Israel’s illegal occupation of Palestine”). At last year’s Labour party conference one of its few remaining Jewish MPs — Luciana Berger — felt the need to hire bodyguards to protect her from her own party membership. Berger is one of nine MPs who have since quit Labour in disgust. “I cannot remain in a party that I have today come to the sickening conclusion is institutionally anti-Semitic,” said Berger. British Jews seem to agree. 40 percent of them say they would “seriously consider” leaving the country if Jeremy Corbyn became Prime Minister. But how, how can the left justify this behaviour when for years it has made so much of being more caring, sensitive and noble than the “fascistic” right? Well that, argues Douglas Murray, is part of the problem. 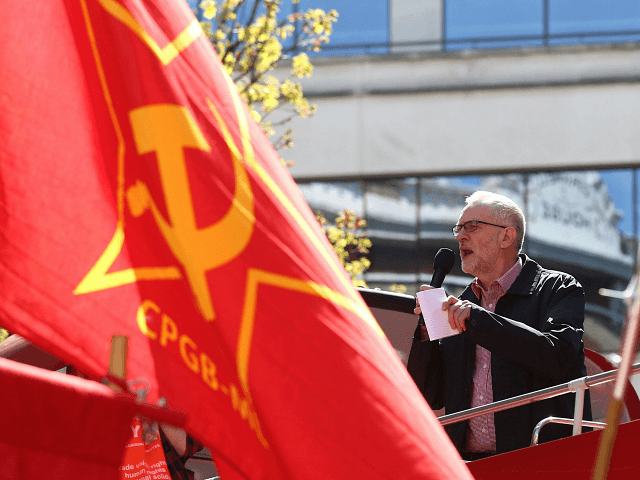 One of the causes – which can be heard among all of the cheerleaders on the Corbynite Left – is that anti-Semitism is basically a right-wing disease and something which “anti-fascists” of the kind that Corbynites like to fancy themselves as being could not possibly fall into. There are two other main factors behind the left’s increasing anti-Semitism. This, as an issue, has been bubbling under since at least the 1970s, when the left began giving up on its support for the Jewish underdog, having decided that the Palestinians were better placed in the global hierarchy of oppressed victimhood. It began with the left’s Cold War allegiances (anti-Israel and anti-western) and was sharpened by the often virulent anti-Semitism which came out of the black liberation movement in the USA during the 1960s and 1970s, especially the Nation of Islam, which counted the now-revered (by liberal idiots) scumbag Malcolm X. And it is honed today by the poisonous stuff these halfwits pick up when they are hanging around the various pro-Palestinian and anti-Israel campaigns, both online and, weary-ingly, outside the Israeli embassy. And the other factor is more obvious still: Muslim immigration and voter demographics. In Britain, for example, many of the traditional working class Labour strongholds — especially in the north — now have large Muslim populations. If you’re a Labour MP in one of those areas, anti-Semitism isn’t a badge of shame but a potent vote-winning strategy. She was subsequently sacked from Labour’s front bench and bullied by her party into a semi-retraction. “The article should not have gone out in my name and I apologise that it did,” she said.